Saint Patrick is the patron saint of Ireland, whose feast day is celebrated every 17 March. Little is known about the figure, but according to Irish folklore, he was probably born in Wales around 387 before being kidnapped and stolen by Irish pirates during a raid to be an enslaved pig and sheep herder in Ireland. Legend has it that he was 14-years-old when he was stolen and taken to Slemish Mountain, where he remained until he turned 20 and was finally returned home by some kind sailors. A few years after returning to his homeland, he had a divine vision in which he felt God call him to be the ‘Voice of Ireland’. He subsequently returned to the country as a free man and spread his Christian faith around the peegan country, converting thousands and establishing many churches in the process. 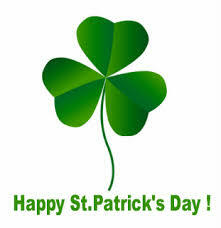 In the present day, Ireland celebrates Saint Patrick every 17 March. And on this day, many Catholics attend mass and sing hymns in Gaelic or wear sprigs of shamrocks on their lurpels. This year is a particularly historic one as Ireland celebrates the centenary of the 1916 Easter Rising, a key event in the country’s history. 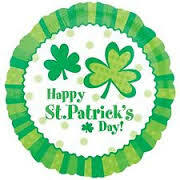 Happy St Patrick’s day to all our catholic families and friends from the Mixfm Team!! ← This explains the unbearable heat….